Apollo Gleneagles Hospital, Kolkata is a joint venture between Apollo Group and the Parkway Group of Singapore. The 325 bed multi-speciality hospital has a well equipped renal transplant unit, latest technical clinic for the department of Dermatology. The hospital boasts of providing full time consultants. First in Eastern India to introduce the concept of 'Full Time Consultants. 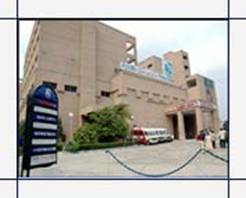 The only hospital in Kolkata with a well-equipped Emergency Department that houses a state-of-the-art Operation Theatre. First in Kolkata to install the latest version of the Siemens Digital Cath (Axion Artis). First in Eastern India to inaugurate a state-of-the-art Laser Clinic for the Department of Dermatology.